Wrap for You: Valentine's Day is on the horizon! Valentine's Day is on the horizon! The days are flying by and it's only 19 days left until Valentine's Day! Gift wrapping for Valentine's Day can sometimes be touch and go. How do you keep your wrap looking classy and how do you avoid it looking like a second Christmas?! I wrapped a birthday present Furoshiki style however, change the colour of the ribbons and flowers and you could just as easily have your Valentine's wrap! 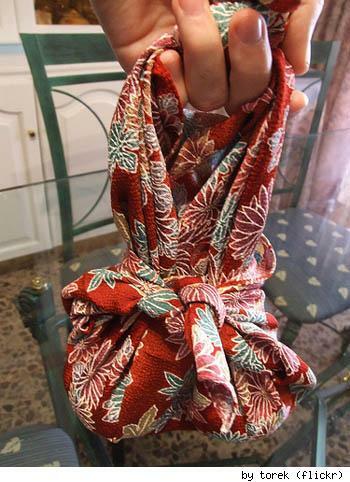 Time is always of the essence and not everyone can quickly learn the art of gift wrapping Japanese style, so I give you an alternative that might also hold appeal. 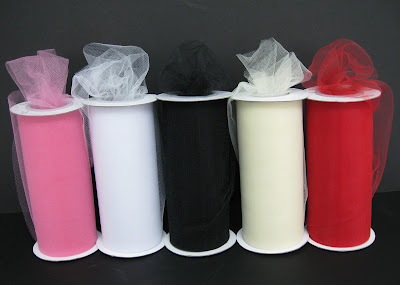 As I said before, I love to wrap with fabric's and my favourite has to be Tulle! It comes in the most stunning aray of colours and can be turned into bows, is ideal for gift baskets and makes an ideal alternative to gift wrap when you want to hint at the gift but still give the receiver something to open. We unfortunately don't have the high quality Tulle fabrics in South Africa that you can purchase in Europe but you can stumble across them if you hunt. I turned my gift into a little pouch using bright red Tulle. I also incorporated a bold black and red paper gift wrap just to include some variety. (The picture below also illustrates the difference between a finer Tulle (white) and the courser Tulle (red)). So happy shopping for your loved one/s and don't forget to consider fabric as a wrapping alternative. May your Valentine's Day be drenched in romance and put a sparkle in your eye!